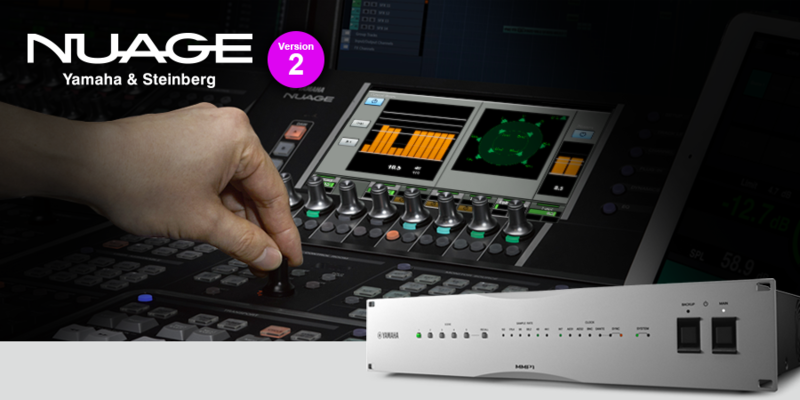 Yamaha NUAGE is a unique fusion of DAW software and hardware control that is rapidly gaining acceptance in a wide range of professional applications, from audio post-production to music recording and production. Front-line producers and engineers rate NUAGE highly as an important tool that, not only improves day-to-day efficiency and productivity, but also enhances output quality. The NUAGE Version 2 update is an innovative solution that delivers significantly enhanced DAW control and monitor processing for a broad range of applications. V2 will make its debut at NAB, booth #C1725.